For Windows Store Apps, WinJS has provided several controls for displaying data interactively. Some of the examples are SemanticZoom, GridView, ListView, FlipView etc. All these controls accept collection as data source and provides a mechanism so that end-user can easily navigate through it. On the SemanticZoom, I already have some information which you can find from Windows 8: Working with Semantic Zoom using C# and XAML. We will use the FlipView for iterating through Images that’s passed to it from the WinJS List object. Note that the <div> is set to the WinJS.UI.FlipView using data-win-control property. 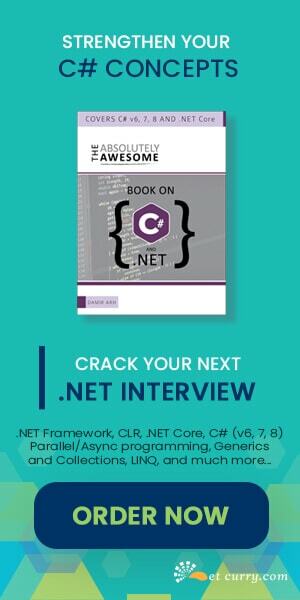 description: "The Senior Corporate Trainer for C,C++"
description: "The Senior Corporate Trainer for .NET"
description: "The Senior Corporate Trainer for Client Side Frameworks"
description: "The Senior Corporate Trainer for C# and ASP.NET"
//The object containing the Property-Value pair. 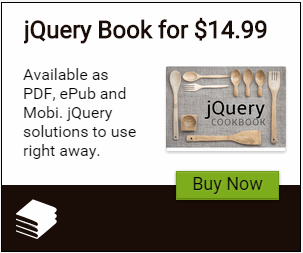 The above code defines a JSON array with hard-coded data in it. This array is then passed to the ‘trainersList’ object defined as a List object using WinJS.Binding.List(). Since the array and the List are declared as private objects, these will not be exposed to the FlipView. To do this, we need to define the namespace which defines an object with property/value pair. The namespace is defined using WinJS.Namespace.define(). The ‘trList’ is the public property which contains the ‘trainersList’. This is now exposed to the FlipView. Step 5: To display data into the FlipView, we need to define a Template for showing the repeated data. (Note: This is conceptually similar to templates in XAML). In the default.html add the below <div> tag, this is set to the WinJS.Binding.Template. <img src="#" data-win-bind="src : image"
The above template contains <img> which is bound to the ‘image’ property. which is coming from the List which is defined in Step 4 using the Array. The header <h3> and <h4> are used for displaying ‘name’ and ‘description’ declared in the array. To connect to the data, the itemsDataSource property of the FlipView is used. This property is assigned to trList object defined in the namespace in Step 4. The ItemTemplate property is set to the DataTemplate defined in Step 5. Run the application, you will get the First Record from the Array. We saw how to bind an array of images to a FlipView control in WinJS. We can use the FlipView control to display any page-wise data, for example magazines, books etc.